The popularity of online videos just keeps increasing. 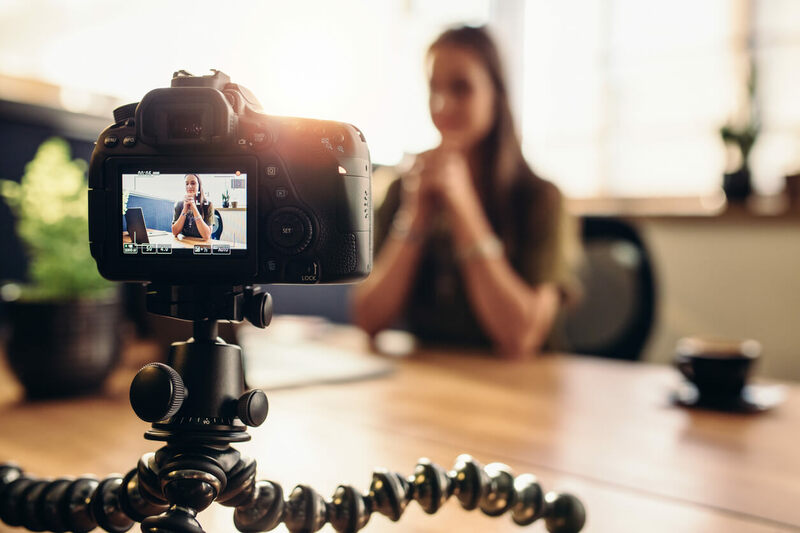 People are consuming more video content on their computers and their smartphones, which makes video marketing on YouTube a great tool for your business. Of course, building a YouTube presence and converting viewers to customers isn’t exactly a cakewalk. So today, we’re giving you crucial tips on how start growing your business with YouTube videos. One of the best ways to find out what works on YouTube, is to see what competitors are doing in your niche. Conduct some research. See which videos are getting views, likes, and comments. It’s a great way to get ideas for topics and formats for your own videos. You can know all the tricks, but there’s no substitute for quality. For your YouTube channel to be a success, you need content that is entertaining or informative to your viewers. Preferably, it will be both. Keep in mind, engaging does not have to mean highly polished. You can create some highly watchable and valuable videos by simply talking into a smartphone or computer camera. After you’ve shot a video, the editing stage is where you make it look its best. This is where you can intros and outros, add transitions, and get rid of any slow moments where viewers may get bored and click away. There are plenty of free and easy video editors available with a quick search. If you want viewers to find your video, you need to choose the right keywords. Then, include them in the title to your video, its description, and the tags section. While your content is what attracts an audience, many will look at your profile at some point. In some cases, that’s to decide whether or not to subscribe to your channel, or at least watch some more of your videos before they click away. Both are valuable. So set up your profile properly so that it maintains your professional image. You can research competitors as well as channels outside of your niche for ideas. Don’t be afraid to let your audience know what you’d like them to do during your videos. A blatant request to buy your product may not go over well, but asking them to subscribe, follow you on social media, watch your related video, or look at your business’s site are all good choices for calls to action. When people look at YouTube search results, the thumbnail is the first thing they see. A well-chosen thumbnail can make a big difference in the number of views you get. A video that’s one or two hours long typically won’t go over too well. A playlist with a 10-video series, on the other hand, is a great way to get people looking at multiple videos of yours. So break up content and put it into playlists to keep it organized, and highly consumable. Watch plenty of videos from popular competitors to see what works for them. Make sure all your videos are high-quality and enjoyable to watch. Edit your videos so that they look professional. Include relevant keywords everywhere that you can. Get your profile on YouTube looking sharp. Use softer calls to action a few times in your videos. Pick a thumbnail image that makes people want to check out the video. Divide lengthier content into multiple videos that you put in a playlist. Have a tip of your own for growing a business with YouTube? Share it!